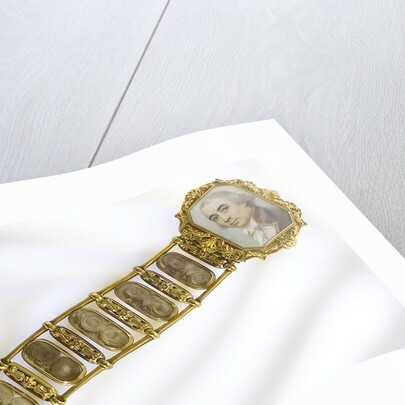 Gold bracelet, which is divided into compartments, which are separated by bars, decorated with a foliage motif. 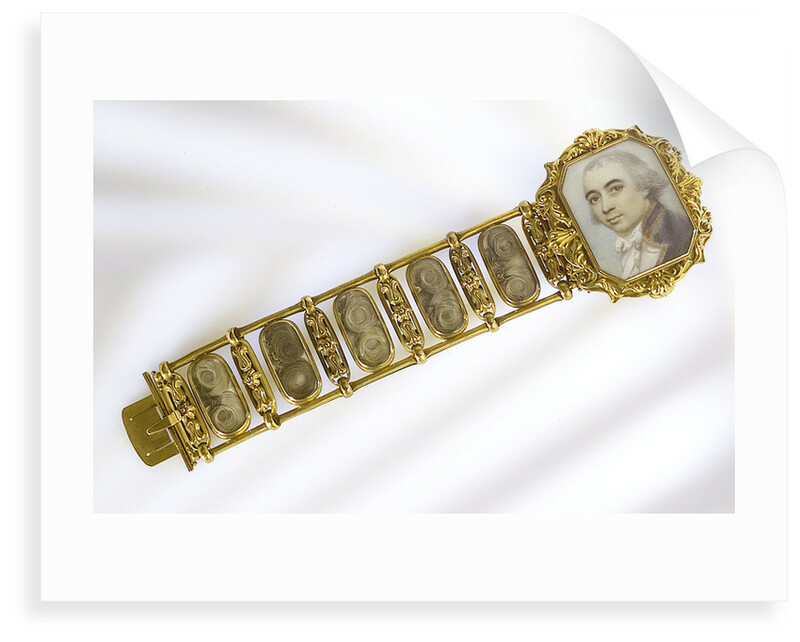 Each one of the compartments is glazed and contains two curls of hair which each belonged to a member of the Collingwood Family. 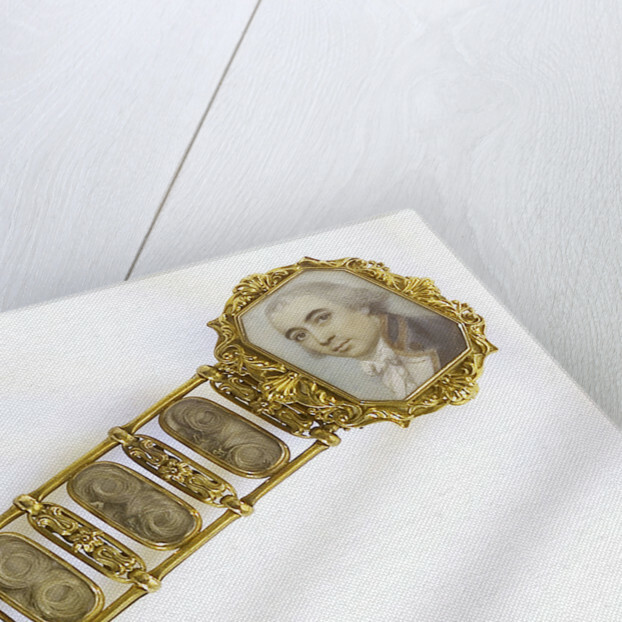 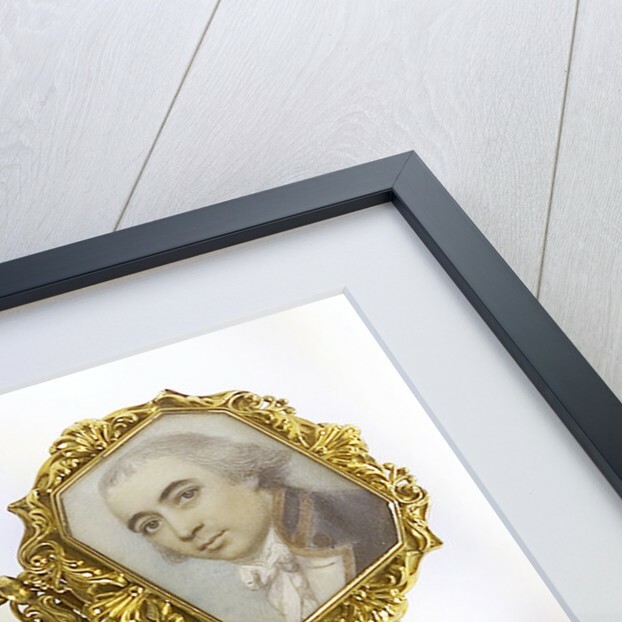 The bracelet's clasp is decorated with a scrollwork border and contains a miniature portrait, which depicts Vice-Admiral Cuthbert Collingwood (1750-1810), along with two locks of his hair.